Now if you’ve read any of my previous posts you’ll know that I am quite the fusspot when it comes to fragrance. In fact I’ve spent a long time with out perfumes as I just could not find one that suited my needs – must be natural, must last, must not be too feminine – definitely not floral! must be earthy, creamy and oh so delicious! So would any of these five Abel Vita Odors pass the test? Now for the bottles’ contents! I tested Golden Neroli and White Vetiver first, and was slightly disappointed, although they were divine in their own way, they just weren’t for me. Grey Labdanam was again, beautiful, so cool and enticing, but not quite right. Easily my two favourites were the Cobalt Amber and Red Santal. Both were little bottles of bliss, and I had an extremely hard time picking a favourite. Cobalt Amber won it …just. It smells so divine, conjuring up day dreams of perfect warm summer evenings, listening to the sea, the first sip of a beautiful wine, meeting someones eyes for the first time. Top notes of pink pepper, cardamom, and juniper berry. Heart notes of cacao, tonka, and peru balsam. Base notes of amber. This is my perfect fragrance to accompany me on an evening out, and yet also seems to work for day to day life too. I imagine myself waltzing through my days, leaving just a hint of this creamy scent trailing behind. The individual bottles come packaged in crisp, white boxes, with just a slither of colour to hint at the delights inside. The bottles’ minimal design will sit pretty on any bathroom shelf or dressing table. The epitome of the phrase “simple yet elegant”. 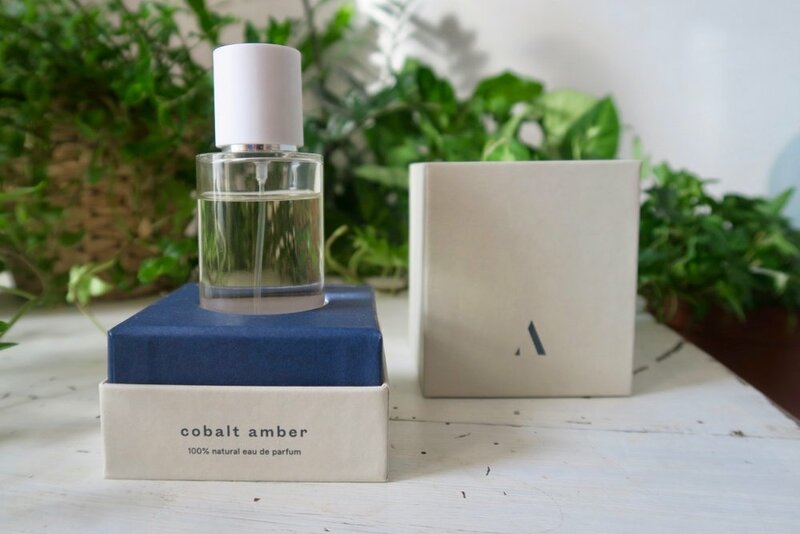 Abel’s Cobalt Amber is easily my very favourite natural perfume, I would highly recommend it to anyone. However, if you think you might like a different scent to the one I chose, why not try Abel’s Discovery Set to test all five for £28.00. This would make the most perfect gift too, and you can even choose to purchase a set that includes a gift card so that your recipient can select a full size bottle of their choice.